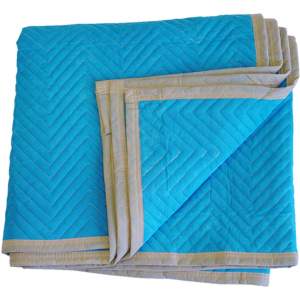 American Moving Supplies’ (AMS) pads are manufactured with only the finest materials, these are are used to create the highest quality pads on the market today. Unlike competitive pads that typically last 3-5 years under normal use, AMS pads will generally last longer due to added quality features such as high count cotton/poly woven fabric, zigzag lock stitching, one-piece linear batting, and 4 finished corners. A new innovation in pads! This needle punch-style pad can also be used as a skin, space saver, stuffer, or machine wrap. Cost effective and durable enough for furniture storage or one-way shipments. A full sized 72" X 80" with four finished corners and surged edges makes it easy to use or store. Soft smooth finish prevents unwanted marks on highly polished surfaces. Great for international shipments. 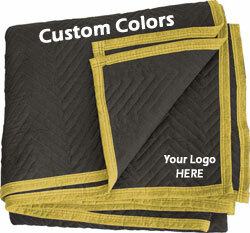 Size: Full Size 72" x 80"
Made of a strong, woven fabric on top side and non-woven on the other. 3" non-woven binding with finished corners. This is the best, most consistent multi-pad on the market. 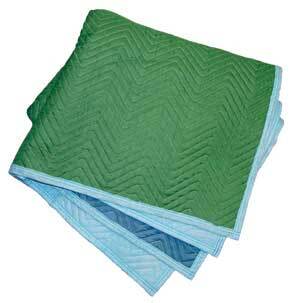 Made with a cotton batting that is thicker, more durable, and more resilient than any normal pad. 3" cloth binding on all 4 sides with 4 finished corners, twice the zigzag lock-stitching, you'll think you have a Supreme! Quality that will amaze you! Made with a thicker, fluffier cotton batting that is more durable than any other pad. 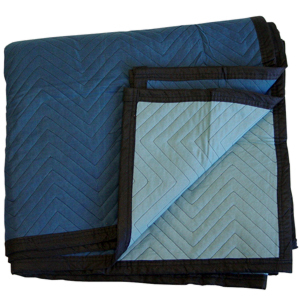 With 3" cloth binding on all 4 sides with 4 finished corners, twice the zigzag lock-stitching, this pad speaks for itself! Made with a cotton batting that is thicker, more durable, and more resilient than any other budget pad. 3" cloth binding on all 4 sides with 4 finished corners. High count cotton/poly woven material on both sides, combined with linear cotton batting inside produced a soft strong pad that protects furniture while standing up to the heavy use demanded by moving professionals. 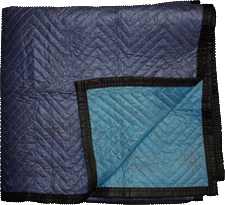 Double-lock zigzag stitching means this pad will not come undone when used day in and day out. 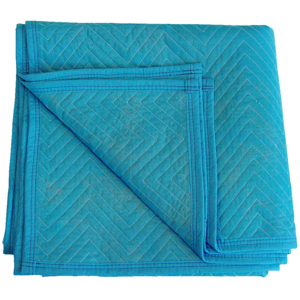 Non-woven exterior and poly batting can be machine washed or rinsed with a hose. Flame retardant — perfect for self-storage units for added furniture protection. 3" cloth binding on all 4 sides with 4 finished corners, twice the zigzag lock-stitching. 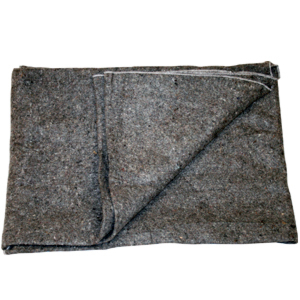 The ProSeries ProVault Pad is made of a strong, non-woven fabric on the top and bottom. The non-woven material provides for excellent duribility. 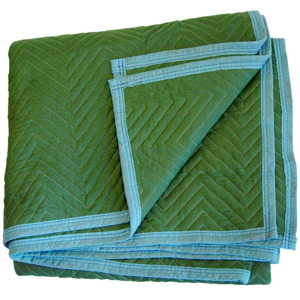 The pad has 3" non-woven double stitched binding with 4 finished corners. This pad features linear poly batting material that is locked in by tight; double lock zig-zag stitching. 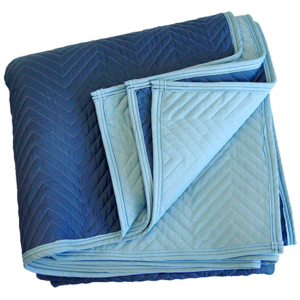 The ProSeries ProVault is one of the most affordable and durable pads on the economy market. This pad is PERFECT if you are using for a budget move! Available in a variety of colors, sizes, and weights. Call today to discuss the options and price ranges available. 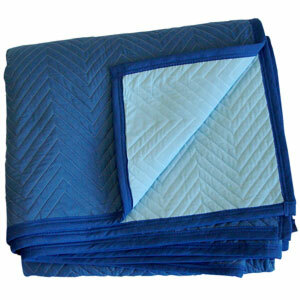 Together our professional staff can help you determine the best blanket for your industry needs.